Paul purchased a New 2010 Ford F150 from me on a Tuesday. I still need to get a picture of him with his new truck. 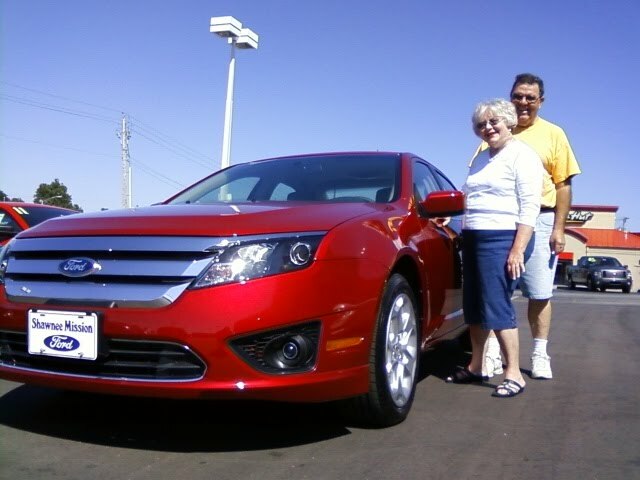 And, to my surprise, he showed up the next day with this wife, Janet, and purchased this beautiful, Red Candy Metallic 2010 Ford Fusion. Enjoy your car, Janet. I'm confident it will serve you well for at least as many years as your Ford Contour did. Thank you very much for trusting me out of all the Kansas City Ford Dealers you could have purchased from.